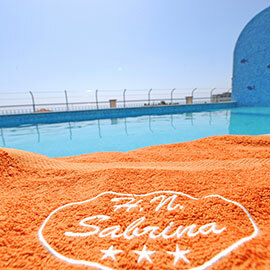 Welcome to Hotel Nuova Sabrina! A cosy, welcoming family hotel run by an experienced hotel owner who carries on a family tradition going back to the fifties. Professionalism, quality and excellent service are our priorities in order to be able to offer our guests a very pleasant stay. Rooftop pool, mini-club, spa and wellness center in agreement. 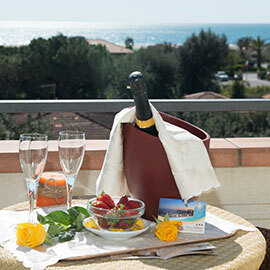 Discover all the services offered by the Hotel Nuova Sabrina. 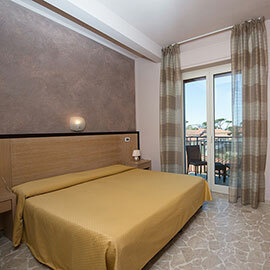 Recently renovated finishes, furnishings and bathrooms, choose the room more comfortable for your stay in Versilia. 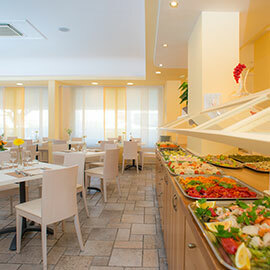 Buffet breakfast, buffet of vegetables at lunch and dinner in our dining room or on the terrace, with stunning views of sea and mountains. Send a request, we will find the solution that best suits your needs and we will offer discounts and promotions, according to availability and the period.